Apply for PROMYS Europe 2017: A 16+ Maths Residential Challenge! 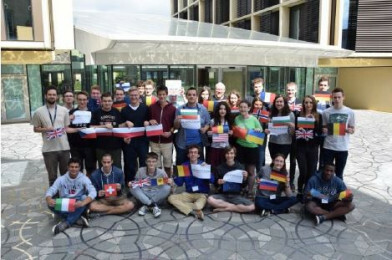 PROMYS Europe is designed to encourage mathematically ambitious students who are at least 16 to explore the creative world of mathematics. Participants tackle fundamental mathematical questions within a richly stimulating and supportive community of fellow first-year students, returning students, undergraduate counsellors, research mentors, faculty, and visiting mathematicians. Six weeks of challenging and stimulating mathematical exploration, for mathematically ambitious school students aged 16+ from across Europe! Selection is needs-blind and based on merit alone. Partial or full financial aid is available for those who need it. The programme is dedicated to the principle that no one should be unable to attend for financial reasons.